Experience a seldom-seen New York City with journalists and NYC natives Sharon Seitz and Stuart Miller as they show you the 42 islands in this city’s diverse archipelago. Within the city’s boundaries there are dozens of islands—some famous, like Ellis, some infamous, like Rikers, and others forgotten, like North Brother, where Typhoid Mary spent nearly 30 years in confinement. While the spotlight often falls on the museums, trends, and restaurants of Manhattan, the city’s other islands have vivid and intriguing stories to tell. They offer the day-tripper everything from nature trails to military garrisons. 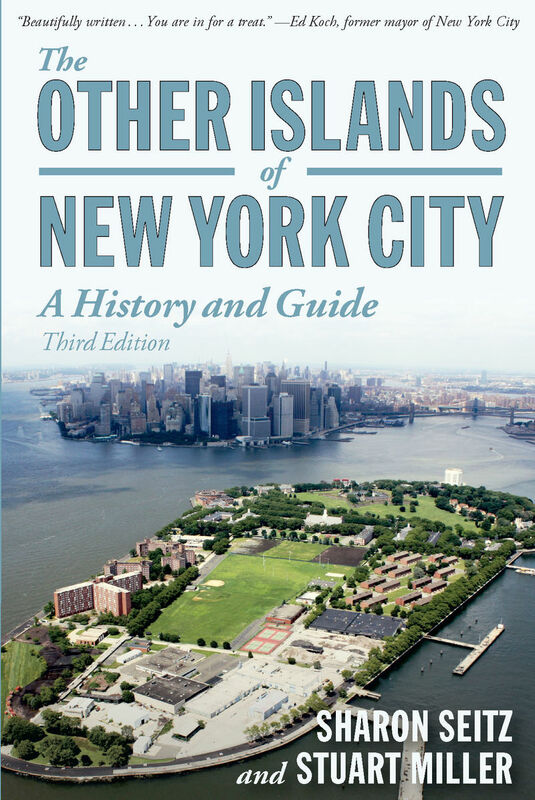 This detailed guide and comprehensive history will give you a sense of how New York City’s politics, population, and landscape have evolved over the last several centuries through the prism of its islands. Full of practical information on how to reach each island, what you’ll see there, and colorful stories, facts, and legends, The Other Islands of New York City is much more than a travel guide. Sharon Seitz is a native New Yorker and alumnus of Columbia University’s Graduate School of Journalism. She has written for New York Magazine, the New York Daily News, and Newsday. She lives in Brooklyn. Stuart Miller is a native New Yorker and alumnus of Columbia University’s Graduate School of Journalism. He has written for New York Magazine, the New York Daily News, and Newsday. He lives in Brooklyn.